Rejected by Record Store Day for being too much tohandle, here at last are two tracks from the night Bill Davis(Dash Rip Rock) and Fred Le Blanc (Cowboy Mouth)dared Jello Biafra to join them during Jazzfest and singall classic New Orleans soul, rhythm and blues, and (atJellos request) garage songs! Joining in were piano WildmanPete "Wet Dawg" Gordon (Mojo Nixon), PepperKeenan (Down, Corrosion of Conformity) and a wackyhorn section from Egg Yolk Jubilee and Morning 40 Federationthat even includes a sousaphone!Released in advance of the long-rumored, sweat-soakedlive album, Walk on Jindals Splinters (due out on May12th), these two tracks are not included on the LP. 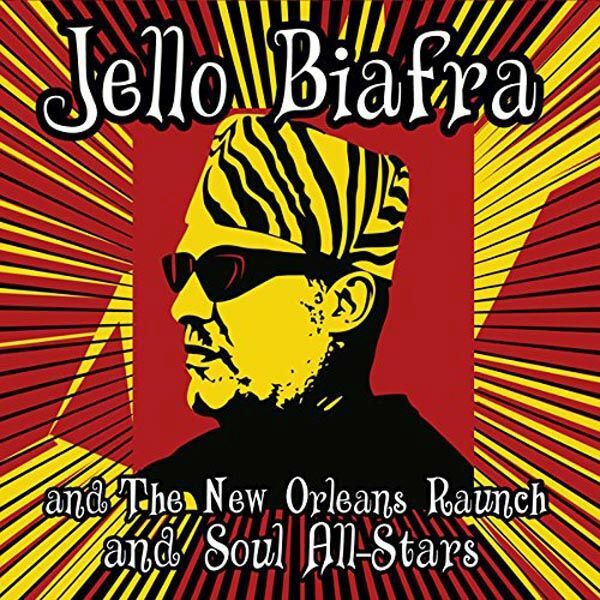 The long-rumored, sweat-soaked live album from the night Bill Davis (Dash Rip Rock) and Fred Le Blanc (Cowboy Mouth) dared Jello Biafra to join them during Jazzfest and sing all classic New Orleans soul, rhythm and blues, and (at Jellos request) garage songs! Joining in were piano Wildman Pete "Wet Dawg"Gordon (Mojo Nixon), Pepper Keenan (Down, Corrosion of Conformity) and a wacky horn section from Egg Yolk Jubilee and Morning 40 Federation that even includes a sousaphone! You want loose? We got loose! You want crazy? Thats here, too. Walk on Jindals Splinters is one of the all-time great "you are there"high-energy live albums-audience participation galore, plenty of trademark Jello banter, and full-on soul / trash / frat / garage gumbo from eleven of New Orleans finest, just playing their asses off and having a good time doing it. 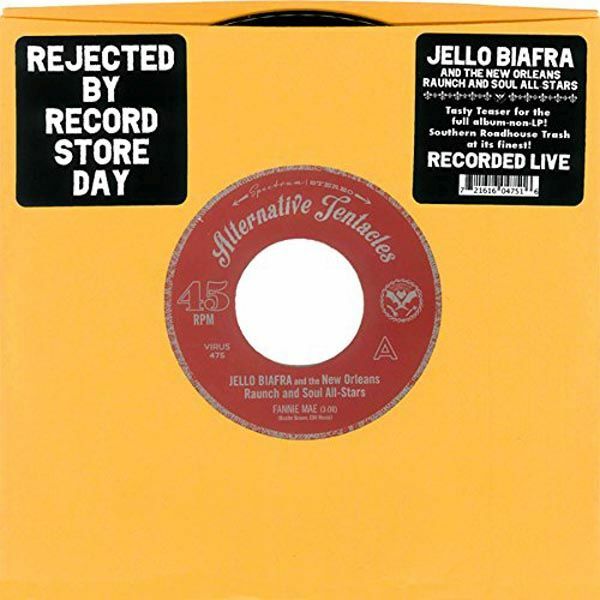 The album also showcases a whole nother side of Jello Biafra: his deep, pre-punk roots known only to a handful of vinyl junkies and anyone lucky enough to catch his DJ gigs. For all those whose interest in Jello goes beyond the punk persona to Jello Biafra, the singer, this is for you. Maximum trash appeal! Southern roadhouse debauchery at its finest! Calls to mind those sing-along, clap-along frat-rock platters from The Premiers to The Kingsman to Geno Washingtons Hipsters, Flipsters. series, Swingin Medallions, or even Slade Alive! You can almost feel the grease and voodoo dripping from the walls!